Sustainable Small Business Solutions: Malama ‘Aina | One Aloha Shave Ice Co.
One Aloha Shave Ice Co. Serving Aloha One Shave Ice at a Time! Disposables, Plastic & Pollution: Did you know? 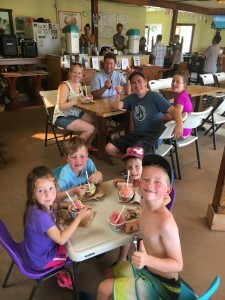 One Aloha Organic Shave Ice! Voted Best of the West 2016 & 2017! 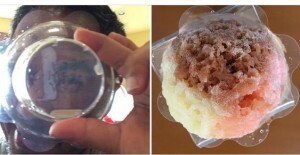 Why Shave Ice? Why we do what we do. 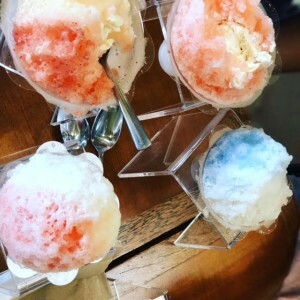 Typically, shave ice businesses are “take out” only establishments and many shave ice businesses use bright colored plastic cups, plastic spoons and plastic straws. While these cups and spoons can be recycled, not all used cups and spoons make it back to a recycling center or even make it into a trash can. In fact, these plastic disposable cups,spoons and straws can sometimes be found on the ground near beach or shoreline areas and worse yet, in the ocean-especially plastic straws! Because we deeply care for our planet earth and her natural resources-our oceans, our streams, our waters, forests and mountains, we are committed to do our small part as a business in the food and beverage industry. Living on an incredible “living” island in the middle of the Pacific Ocean, One Aloha Shave Ice Company, is soul happy to malama our precious ‘aina and ocean by using clear (no toxic dyes) biodegradable shave ice flower cups from plant based material rather than from trees. In addition we also provide plant based take out spoons and paper straws-helping to keep plastic bits and pieces out of the ocean, which end up hurting our wildlife, such as our sea turtles. Mahalo Sustainable Island Products Kona! As a dine in shave ice business, we do hope to one day soon become a zero waste restaurant. For starters we offer metal spoons that add a nice touch for dining in and reusable Keiki (kids) bowls for 12 and under.